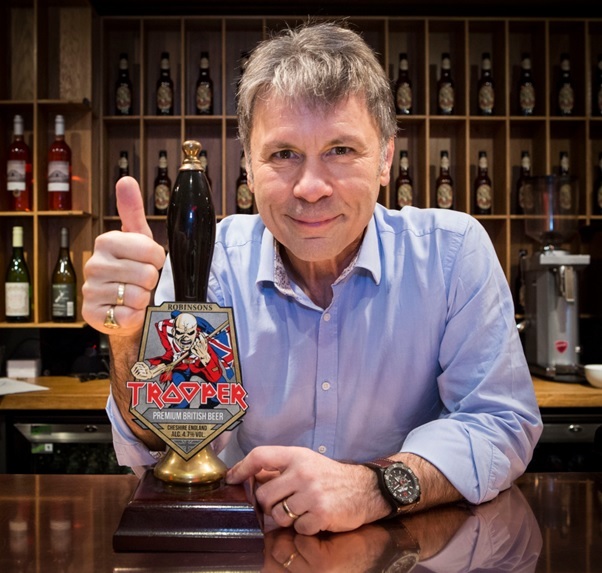 Iron Maiden are celebrating the 5th anniversary of their award-winning Trooper Beer this week. These beers are the brainchild of Iron Maiden vocalist and ale aficionado Bruce Dickinson working in partnership with Robinsons’ Head Brewer Martyn Weeks. “I’m incredibly proud of the success that Trooper has had, and long may it continue,” says Dickinson. “To sell over 20 million pints in 5 years is something that we couldn’t have imagined when we started out with just the simple plan to make a great session ale that didn’t compromise on flavour, and the quality of the end product speaks for itself. Dickinson and Iron Maiden will launch the Legacy Of The Beast summer 2018 European tour in Tallinn, Estonia on May 26.